Scoil San Isadóir Christmas Concert. December 18th is a date for your diary. 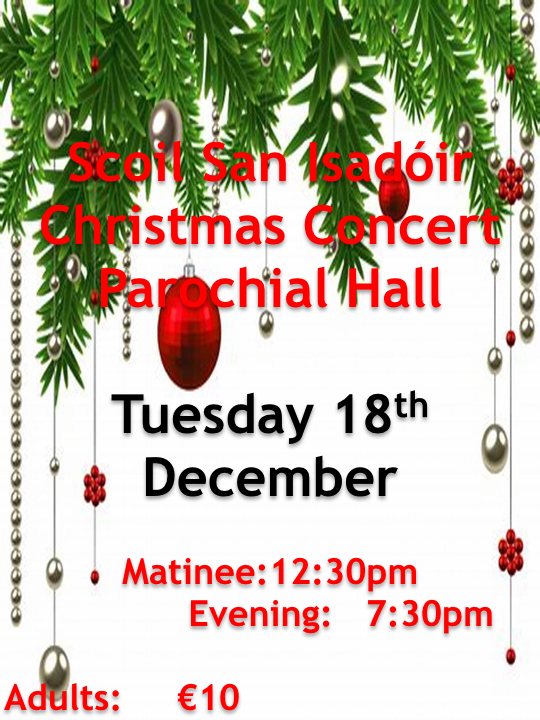 The pupils in the school will stage a school concert in the parochial hall that afternoon and again that evening. We invite you to come and enjoy the drama, music and dance in the run-up to Christmas.